Cook eggs for 9 min. until hard-boiled. Set side to cool down. 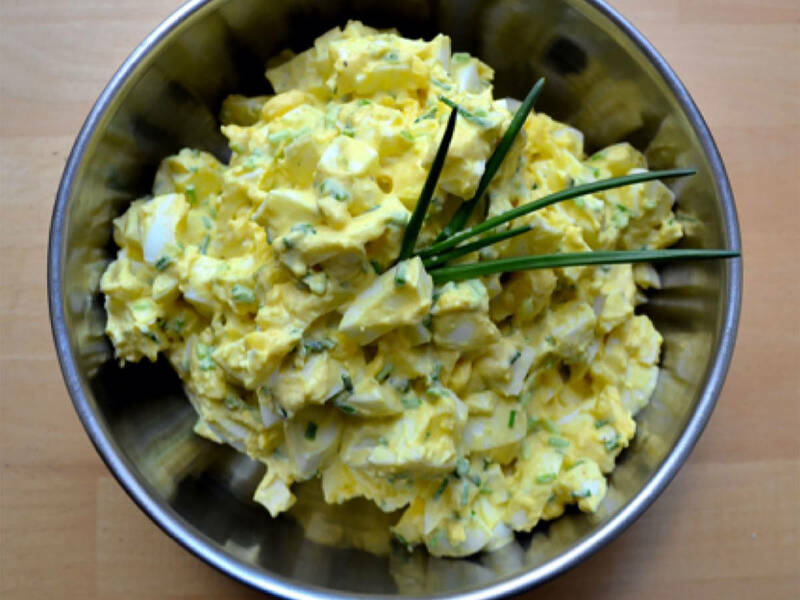 Peel eggs and dice finely. Add mayonnaise, mustard, crème fraîche, salt, and pepper, and carefully fold until fully combined. Rest for approx. 10 min. Then season to taste with curry powder. Serving suggestion: Serve on soft white bread or enjoy with meatballs!